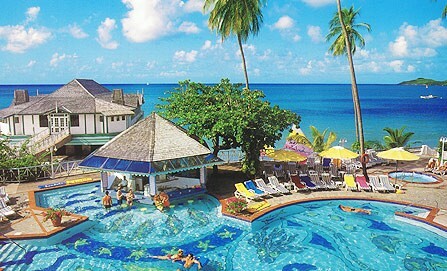 Halcyon St. Lucia: Experience the rainbow of colors from the first moment you arrive. 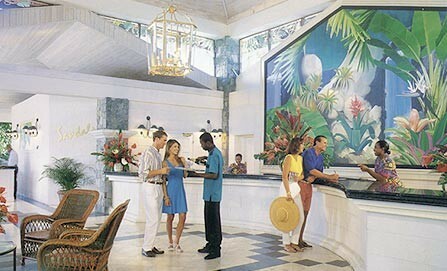 This is the Caribbean you have always wanted to experience… magical, warm, and shining with the smiles of our friendly staff. 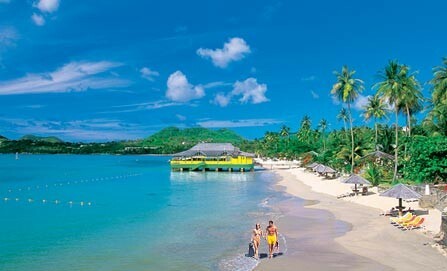 Sandals Halcyon St. Lucia is truly the ultimate beach resort. 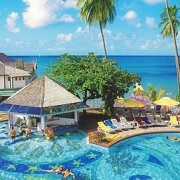 Sandals Halcyon Beach, on the luscious Caribbean island of St. Lucia, is the quintessential beach resort. Overlooking a serene bay with its pristine silver-white sand beach and emerald waters, and snugly nestled in amongst stunning tropical gardens. This resort showcases such exquisite natural beauty and warm laid-back energy that you’ll have no choice but to have the time of your life. 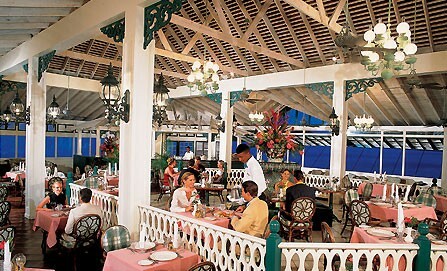 Satiate your deepest hunger at our 14 gourmet restaurants (3 on the property and 11 at neighboring Sandals). Take a culinary jaunt around the globe and savor exotic delicacies ranging from Teppanyaki fare to sophisticated seafood creations. 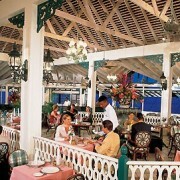 And when you’re in the mood for an unforgettable dining experience, the Pier Restaurant awaits. 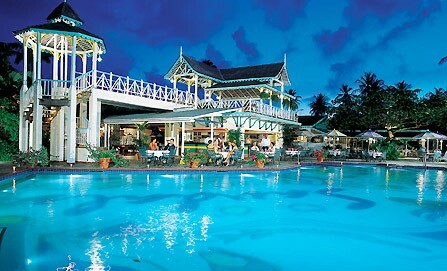 Sandals Halcyon Beach’s landmark eating establishment—famous throughout St. Lucia and the entire Caribbean region—sits suspended out over the glistening aquamarine water. Here you can sip drinks on the verandah and marvel at the fiery colors tingeing the horizon as the sun sinks into the sea and enjoy delectable cuisine as delicious breezes waft in through the open windows and French doors. Savor the enchantment of your own private hideaway for two, replete with those extra-special opulent touches that let you know you’ve found heaven on earth. Walk under towering fishtail palms and past overflowing bougainvillea in brilliant shades of purple and pink, as you head to the secluded perfection of your room or suite. Languish idly in the luxurious embrace of your king-size bed, built expressly for two. Close your eyes and drink in the unique peace and comfort of your personal sanctuary where the birdsong lulls you and the soothing sounds of waves promise you an eternity of romance. Whether you long to surrender to the lazy pace of island life or prefer to go, go, go—Sandals Halcyon delivers the best of every world. 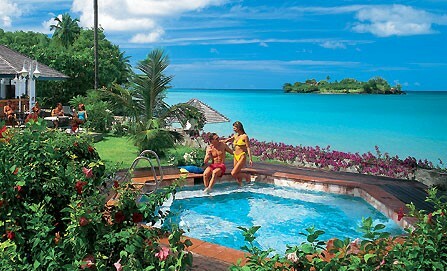 While you will never have to move from your favorite spot beside one of our inviting lagoon-style pools, you’ll be sorely tempted to throw yourself into any number of our first-class activities from championship golf to pampering at a European spa or even exploring St. Lucia’s one-of-a-kind drive-through volcano! And, when the silky curtain of night falls, you can really heat things up. Dance like there’s no tomorrow at our nightclub, take in world-class entertainment at our state-of-the-art pavilion or simply gaze together at the star-filled sky and share secrets until dawn. 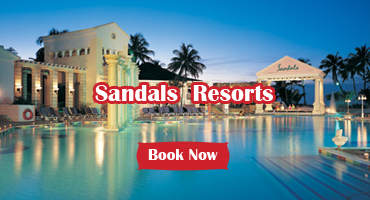 At Sandals Halcyon Beach even the air itself seems full of passion, as sultry days melt seamlessly into steamy nights and lovers’ most secret fantasies pale in comparison to the glorious reality of each magical moment. 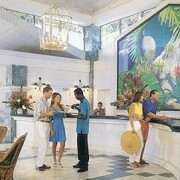 With Sandals’ groundbreaking “Stay at One, Play at Three” program in St. Lucia, food lovers have ample cause to celebrate. 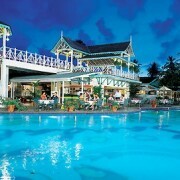 3 gourmet-dining possibilities at Sandals Halcyon plus an additional 11 haute cuisine options at nearby Sandals add up to a grand total of 14 epicurean experiences from which to choose. 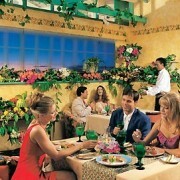 Savor sizzling Teppanyaki fare or luscious Caribbean-inspired seafood or tempt your palate with zesty southwestern treats, the sophisticated accents of France or hearty fare from Italy. 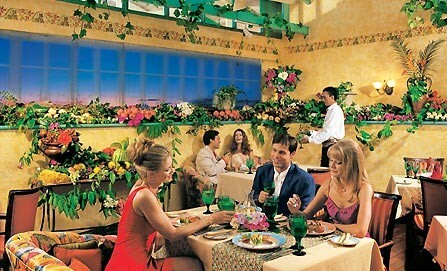 Whatever culinary delights appeal to you, you will surely find something to tempt your palate and satisfy your appetite.